India’s ancient heritage of Yoga, a comprehensive discipline of physical, mental, and spiritual practices which originated in the country, again came to the fore of global awareness, when June 21 was declared as the International Day of Yoga by the United Nations General Assembly. 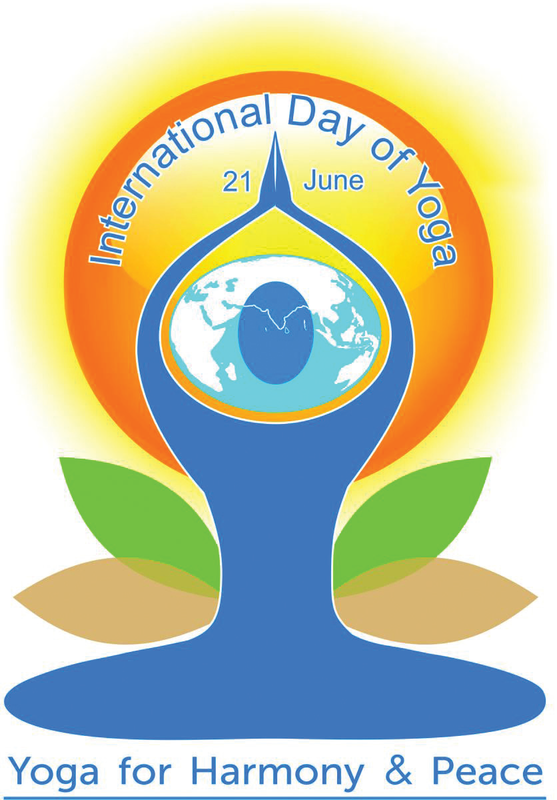 The declaration came after the call for the adoption of 21 June as International Day of Yoga by Indian Prime Minister, Shri Narendra Modi during his address to UN General Assembly on September 27, 2014. Shri Narendra Modi stated that "Yoga embodies unity of mind and body; thought and action; restraint and fulfillment; harmony between man and nature; a holistic approach to health and well being." Yoga is understood to be an over 6,000 year old practice having its origin in India aiming to transform body and mind. Over the centuries as Yogic traditions and practices developed in India, Yoga gurus disseminated it across the country and in more recent times to other countries of the world. In the late 19th and 20th century, the western countries learnt the teachings of Yoga from enlightened masters and Gurus’ such as Swami Vivekananda, Swami Vishnudevananda, Paramahansa Yogananda, Swami Chinmayanada and so many other enlightened spiritual leaders. In the last four decades, yoga has steadily gained popularity amongst western and far eastern countries, as a holistic system of exercise, though in classical Yoga tradition, the physical aspect is only a medium of connecting with the spiritual. Among the enlightened masters who propagated the science of classical Yoga in the west was Swami Vishnudevananda. He started the International Sivananda Yoga Vedanta Centres, which is a non-profit organization named after his Guru Swami Sivananda of the Himalayas, one of the most influential spiritual teachers of the 20th century. The organization was founded in 1957 by Swami Vishnudevananda, a renowned authority on Hatha Yoga and Raja Yoga, who was asked by his Master to preach the practice of Yoga in the West. He established the first Sivananda Yoga Vedanta centre in Montreal, Canada, in 1959 and till date there are close to 60 Sivananda locations (ashrams, yoga Centres and affiliated Centres) around the world. Over 30,000 teachers have been trained in the TTC or Teachers Training courses. Its purpose is to propagate the ancient teachings of Yoga and Vedanta as a means of achieving physical, mental and spiritual well being and thereby create a more peaceful world. According the Swami Vishnudevnanda, the Yogi sees life as a triangle; the body undergoes birth, growth, change, decay and death. The growth period reaches a plateau at about 18-20 years. In the first years of life, the “youthful period’, the rate of cell rejuvenation (anabolic) exceeds the rate of cell decay (catabolic). The body then maintains equilibrium from the age of 20 until around 35, when the decaying, or catabolic process, begins to gain precedence. The body starts its decline, resulting in “old age” with its accompanying ills and despairs. However, the yogis say that we were not born merely to be subject to pain, suffering, disease and death. There is a far greater purpose to life. But, the spiritual investigation of life’s purposes requires keen intellect and strong will, products of a healthy body and mind. For this reason, the ancient sages developed an integral system to retard the decaying process, and keep the physical and mental facilities strong. 1. Proper Exercise: acts as a lubricating routine to the joints, muscles, ligaments, tendons, and other parts of the body by increasing circulation and flexibility. The benefits of Yoga are multifaceted and holistic for the human body and mind. These benefits are being discovered everyday by existing and new practitioners of Yoga. Yoga can be life transforming if approached and practiced as per the guidance of Yoga masters. Moreover, every new person joining the great global Yoga movement is making this transformational wave even stronger in the world.